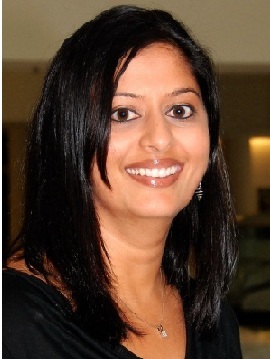 Alpa V. Patel, Ph.D., strategic director of the Cancer Prevention Study-3 for the American Cancer Society, is a cancer epidemiologist whose research has focused on the role of the physical activity in cancer prevention and obesity as a risk factor for cancer. Ms. Patel first joined the Epidemiology Research Program at the American Cancer Society as a research analyst in 1997, and then rejoined the group following her doctoral work. She is currently the Strategic Director of the Cancer Prevention Study-3, a large nationwide prospective study aimed at better understanding the lifestyle, genetic, and environmental causes of cancer. She is particularly interested in the public health benefits of being physically active and limiting time spent sitting. Ms. Patel earned her B.A. in Zoology from the University of Florida in 1996, followed by a master’s degree in Epidemiology from the Rollins School of Public Health at Emory University in 1997, and a doctoral degree in Epidemiology from the Keck School of Medicine at the University of Southern California in 2002.